The Drill Hall Emporium: English cottages with so much pride! In the Cotswolds of England I am always out pointing beautiful stone cottages, some with slate roofs others with traditional thatching. I am in constant awe of how adorable they are. 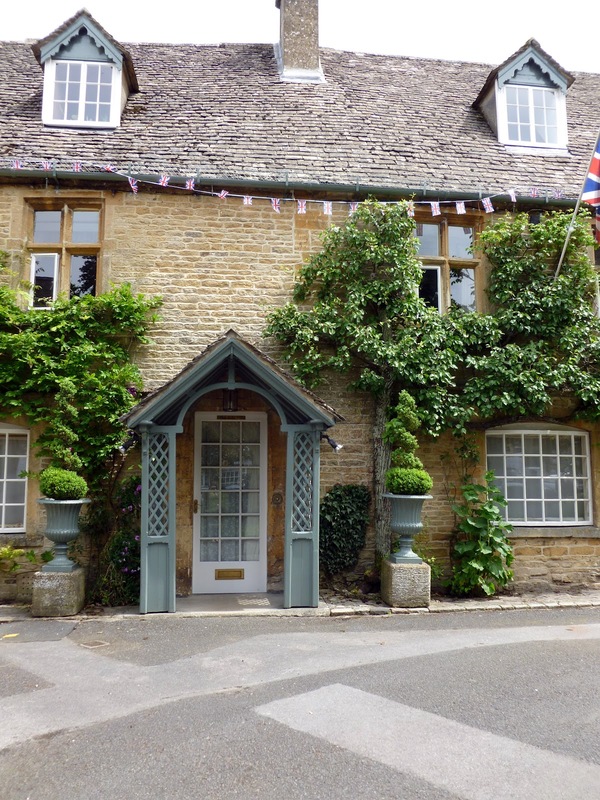 This home, above is a bit larger than a cottage, it is actually in the town square of Stow-on-the-Wold, a shopping village in the heart of the Cotswolds. I love the buxus topiary in the urns out the front, and the bunting in celebration of the Jubilee. You can just tell the owners are house proud, can't you? It is really very beautiful. I wish I could make a stay here. Thanks for posting.